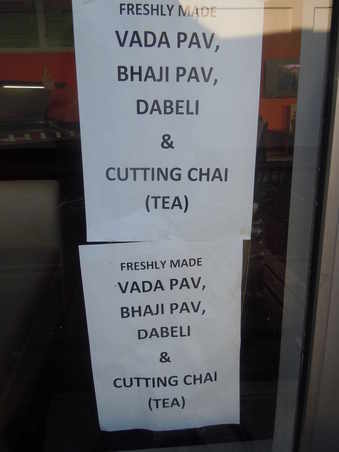 I have had vada pav in Switzerland near the foot of titles but I had never heard of any shop in London or UK that sold vada paavs, dabelis, misal pav or pav bhaji until a few days ago. These dishes are some of the famous snacks of India especially Maharashtra and I being originally from Maharashtra from a place called Pune, always had a craving for these dishes when I was in UK. I came to the UK on 27th may 2007 and to day its 26th of October 2010. So it has been around 3 and half years here. And now, a couple of days ago I managed to know a place in London and that too near my house which sells all these dishes. 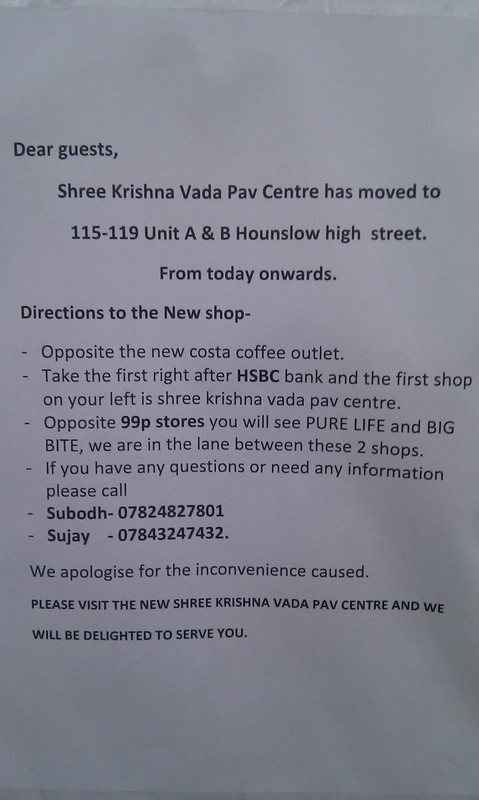 Shree Krishna Vada Pav, which is located on the Hounslow high street was the first maharashtrian shop that sells vada pav, kacchi dabelis, misal pav, pav bhaji, cutting chaai ( tea ) etc... according to me. There might be more shops of such kind but i am not aware of any. It is located on a small lane which goes to Asda super store from the high street. This lane is located between daddy power and the Barclays bank. The restaurant is shared between 2 Indian guys and an European I guess. 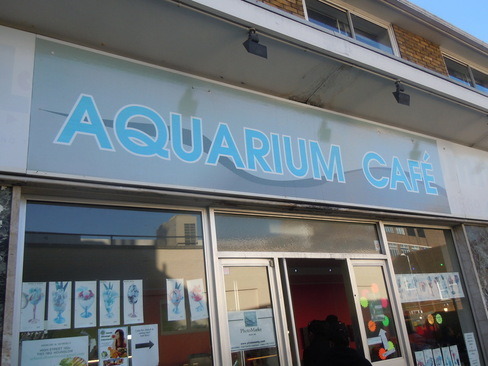 The restaurant is called "Aquarium Cafe". 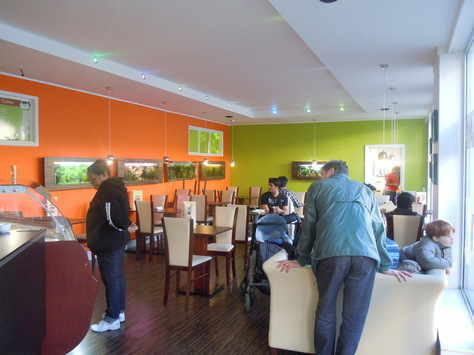 It is not a street side kind of shop but has a proper cafe kind of look which you would find in the pictures on this page. 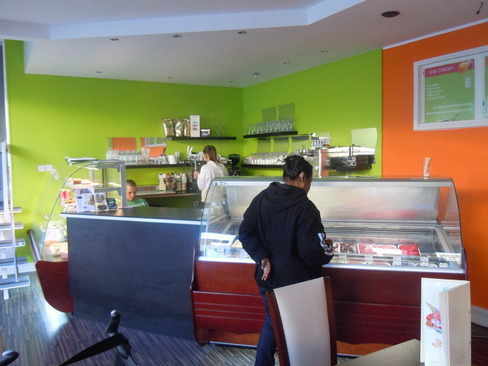 The Europeans sell desserts, coffee, ice cream etc.. 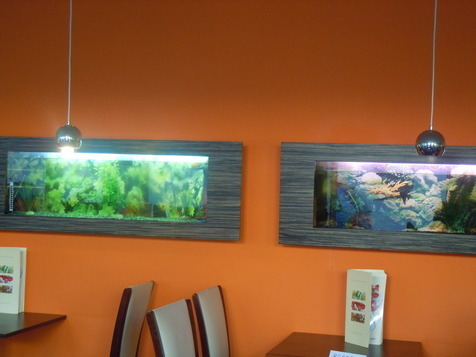 The restaurant has a couple of aquariums inside and hence the name. The address and other details are mentioned on top of this page. I got to know about this cafe from Prachi and Ravi who inturn got to know about it from their work friends Kavita Pandya and Jayesh Utkur :-). 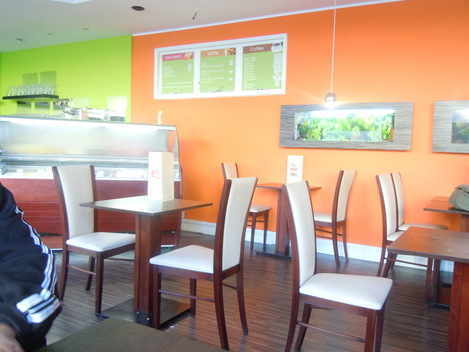 And by the way the dishes are very delicious...do visit sometime. Wishing all our guests a very happy Diwali and a prosperous new year ! 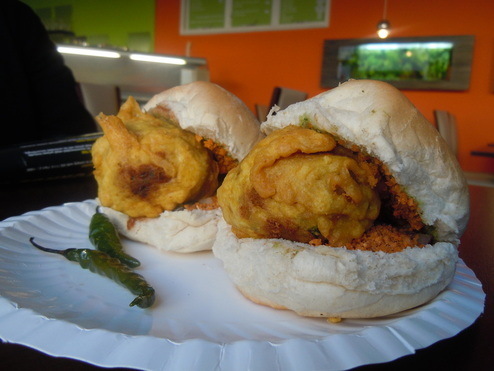 Shree Krishna vada pav centre making you feel at home during diwali ! 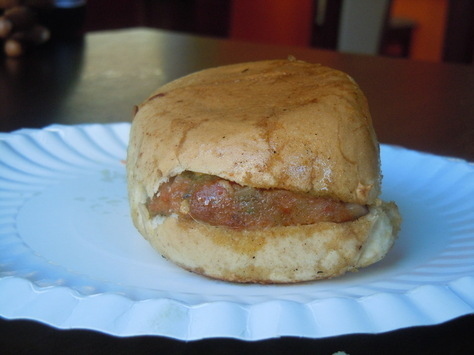 Available exclusively for our guests only at Shree Krishna vada pav centr ! 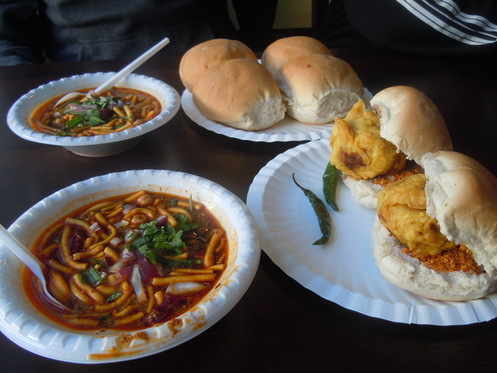 Comment - The misal pav they give here is Mumbai style. 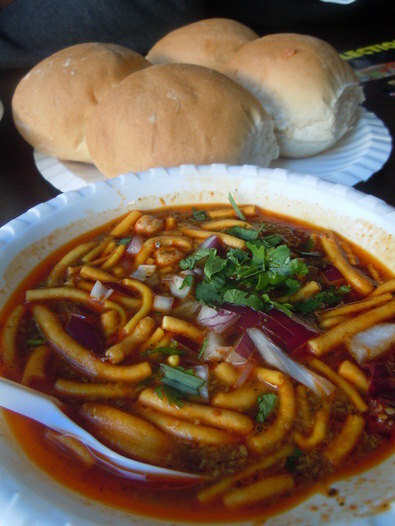 They have got peas (Vatana) in their misal. 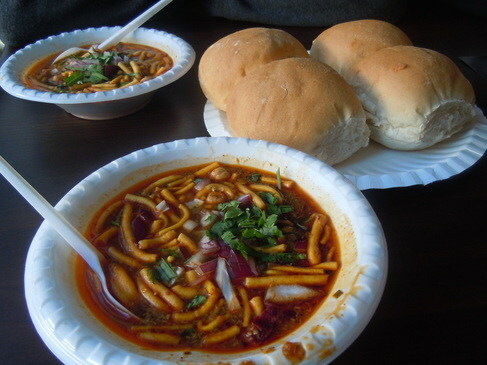 The authentic puneriri (from Pune) misal pav contains "matki chi usal"
(sprouted moth beans), poha (flattened rice) and potato (batata).